More than 250 companies have signed on with Airbnbs Business Travel program since its launch a year ago, but on Monday the home-sharing service launched a new product suite in the hopes of growing that customer segment further. 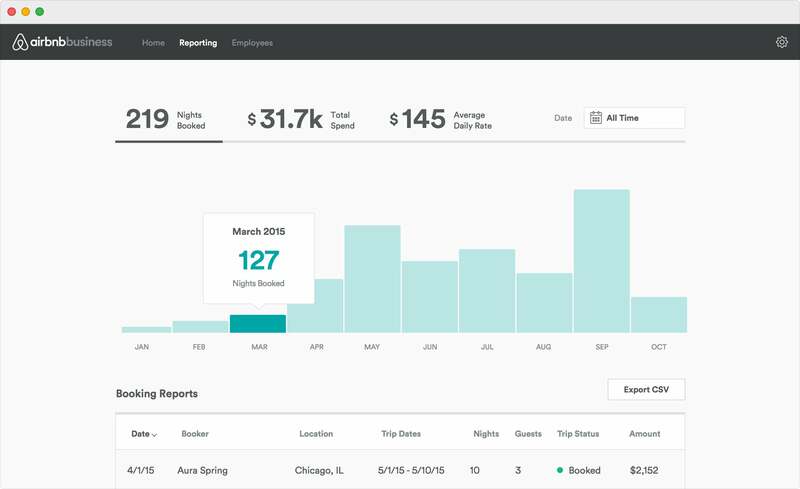 Airbnb’s new software is designed to make the service easier to use for business trips, offering companies new visibility into employee travel itineraries along with financial reporting data and central billing capabilities. A dashboard serves as the hub for Airbnb’s new offering for businesses, and it includes three main tabs. One indicates current and upcoming employee trips, including dates, locations, when they were booked, trip status, the number of people in each party and an interactive map. Another tab focuses on reporting, with features for collecting and managing reports as well as exporting reports and financial data. A third tab is for managing approved and pending employees who have been authorized to book business travel using Airbnb. An integrated payment system is included, as are features such as custom price alerts. Airbnb’s community marketplace offers a way to find and rent lodging in people’s homes around the world. It now claims more than 1.2 million accommodation listings. Google, TBWA, Twilio and SoundCloud are among the companies that have joined its free Business Travel program. 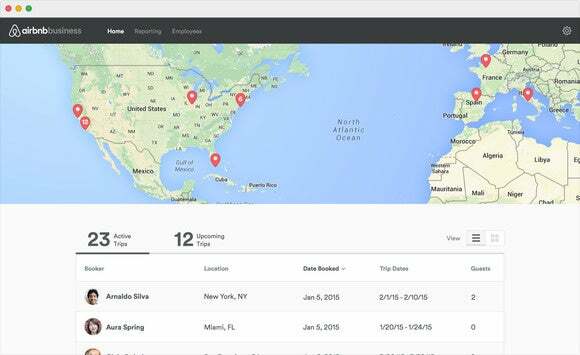 The new business dashboard is also free and can be installed in just a few minutes, Airbnb says. Companies that sign up for the Business Travel program between now and Sept. 1 will receive $50 in Airbnb credit to use toward their first corporate travel booking.